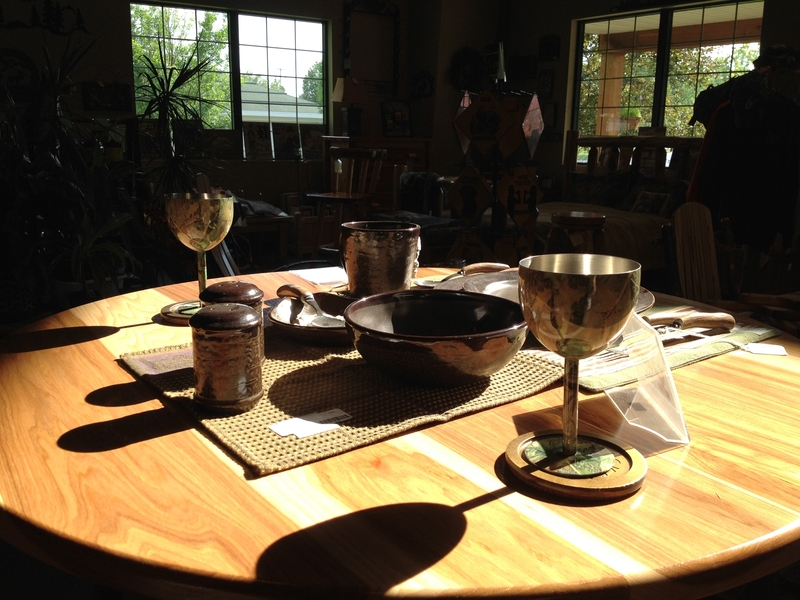 The natural sunlight streaming through the store window created this delightful picture highlighting our Amish made hickory pub table. A lot has been happening here at Buck Snort Lodge Products! We’ve brought in a new line up of bathroom accessories, and some of the products are so cute and made very well. Check out our newest line of bathroom items on our website! My favorite is the North Ridge Moose Toothbrush Holder. This little guy would be great in any moose theme bathroom, for the young ones or the “oldies” too ;)! Check out our new lines in our online store. Along with our great new bathroom line, we also have added a fantastic accent rug line too. Affordable and beautifully made, you can’t beat it! My favorite is the “Birch” accent rug. This rug with it’s blues, browns and beige colors really works in any house – perhaps you like the rustic look, but not the dark colors? Try this rug. It pairs with white birch accents beautifully. Find it in our store. We’ve still got those elusive discontinued bathroom items! Looking for that Terry Redlin Evening Solitude bathroom towel? That Woodlands by Woolrich toothbrush holder? Maybe that Blonder “Rather be Fishing?” shower curtain to finally complete your set? They’re going fast! Find them in our store today. Watch for more updates soon! Next month will bring us an updated hardware catalog and more great items to feature! Thanks for reading!